Push yourself to be the best. Form Physio is west London’s leading Physiotherapy practice. With locations in both the heart of Hammermsith and Chiswick. We offer a professional and bespoke treatment package. We will work with you to provide not only effective management of most musculoskeletal conditions but also injury prevention and rehabilitation. Get in touch now for bookings and offers or call us for a chat. Peter takes a very hands-on approach to his physiotherapy fully engaging with the whole client rather than just the injury. His optimistic yet honest nature leads Peter to embark on treating some of the most challenging injuries – which he has great success with. 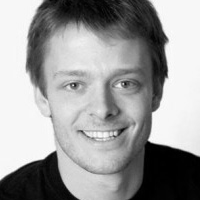 Peter works with a dynamic approach integrating many disciplines in order to offer clients the best treatment outcome. Outside of Physiotherapy Peter’s heart lies with Champagne, providing advice to many distributers in the UK and at present is writing on the ‘grower champagnes’ which, if you are a client of his, you will no doubt hear about!